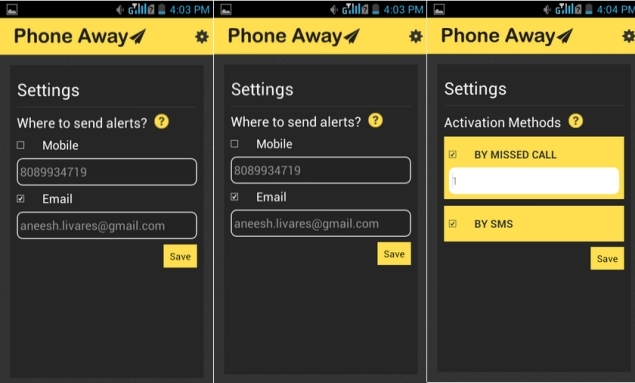 Kerala start-up company Livares Technologies has come out with a new application PhoneAway that enables users to access their mobile phones remotely. By using the 'PhoneAway' application, users can access contents in their phone from another mobile phone or PC. The application can be downloaded for free from Google Play. Jaseel Abdul Rafeek, chief innovation officer, Livares Technologies (P) Ltd., said PhoneAway is an utility app available now in Android platform. It offers a simple yet feature-rich experience for users to access their phones remotely. The company is based primarily in Technopark here and Startup Village, Kochi. "PhoneAway keeps you in touch with your phone even if it's not in your hands," said Rafeek. After installing the application in the user's Smartphone, user has to register an alternative mobile phone number in the application - which could be used to get details from the original phone. Besides, an appropriate communication channel - SMS, email, or both - should also be selected so as to facilitate communication. Once installed, PhoneAway will run in the background on the original Smartphone. Users can start controlling the phone remotely, by giving a specific number of missed-calls or by sending a specific SMS command to the phone, complete with a user-defined passcode for authentication. This will 'activate' the application - and internet connectivity will be switched on automatically, so as to facilitate communication. Users can perform a host of operations using the application. One of its key features is that users can fetch the phone's call log remotely to their email address or by text message to alternate mobile phone. Additionally, users can also search and find contacts stored in the phone. Users even have the facility to locate misplaced phones in silent mode by employing the 'remote-ringer' capability - whereby users can make the phone ring, even if it is in silent mode. Another major feature of the application is its ability to pin-point the phone's location using the phone's GPS, and send it to the user, to help users locate the mobile phone if it is lost.